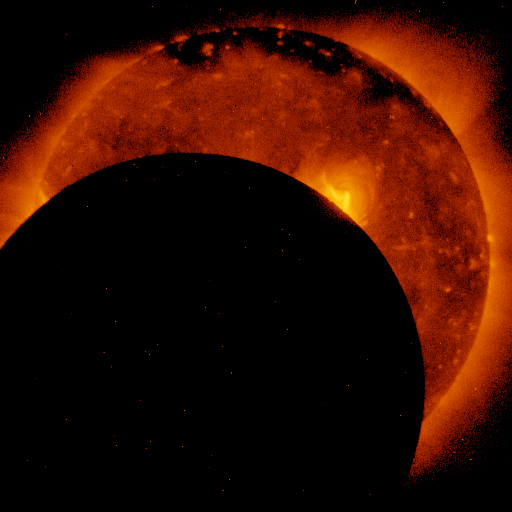 By assembling still images from the Hinode Solar Observation Satellite, scientists from the Japan Aerospace Exploration Agency, the National Astronomical Observatory of Japan and NASA produced the above video of the August 21 total solar eclipse which crossed much of the continental United States. 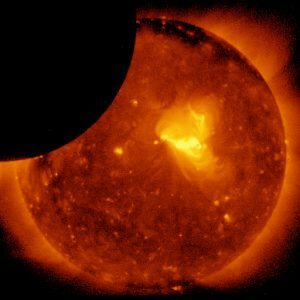 As millions of Americans watched the total solar eclipse that crossed the continental United States August 21, the international Hinode solar observation satellite captured its own images of the awe-inspiring natural phenomenon as it orbited the planet. Researchers adapted the still images into a time-lapse video presentation. 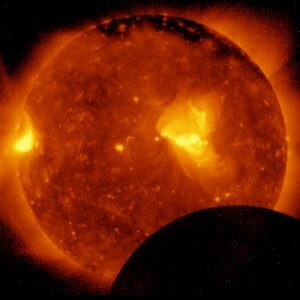 Among its many solar research tasks, the satellite’s observation of the eclipse was intended to add new data to ongoing scientific study of the coronal structure in the Sun’s polar region and the mechanism of jets of superheated plasma frequently created there. These powerful jets can sometimes erupt 10 million to 12 million miles into space. The images were taken with Hinode’s X-ray telescope (XRT) as it flew above the Pacific Ocean, off the west coast of the United States, at an altitude of approximately 422 miles (680 km). Hinode is a joint endeavor by the Japan Aerospace Exploration Agency, the National Astronomical Observatory of Japan, the European Space Agency, the United Kingdom Space Agency and NASA. Be the first to comment on "Hinode Satellite Captures August 21 Eclipse Images, Video"